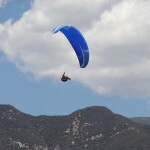 Santa Barbara Soaring Association | Hello World! Hello SBSA members! Welcome to the new SBSA site – powered by WordPress. The site is a work in progress- but should be fully functional by the end of June. Be sure to register so that you can post your flying experiences here! http://sbsa.info/wp-content/uploads/2018/02/logo.png 0 0 John McMahon http://sbsa.info/wp-content/uploads/2018/02/logo.png John McMahon2013-06-20 00:33:212013-09-09 09:21:45Hello World!